Located in northwestern Wyoming just south of Yellowstone NP, Grand Teton National Park is a landscape rich with spectacular mountains, pristine lakes and varied wildlife. 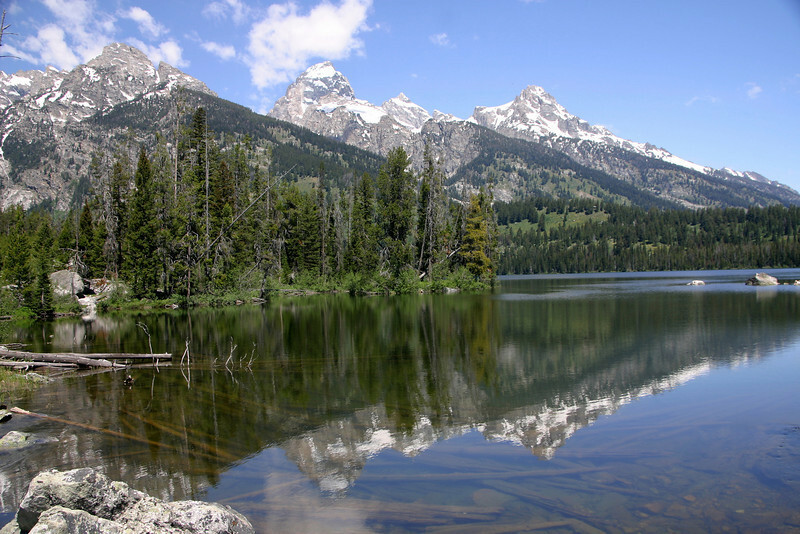 The abrupt vertical rise of the jagged Teton Range contrasts with the sage-covered valley, glacial lakes and the Snake River at the mountain ranges base. Photos were taken from vantage points along several easy to moderate trails within the park.